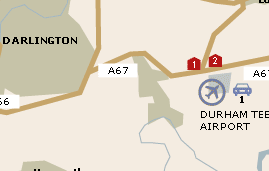 Airport Parking offers a wide range of options for parking at Durham Tees Airport. With both on and off-airport options, there will be something on offer to suit every need and budget. For a quote please click here. So as well as being a more convenient option, it may also be easier on your finances. 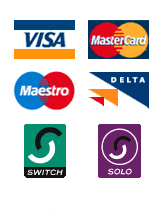 To view the hotels on offer at Durham Tees Airport and get a quote please click here. Pegasus and Thomas Cook offer bureau de change facilities in the terminal building and a cash point can also be found at the Thomas Cook desk. Car hire are also located in the main terminal building. Executive lounge facilities are available. The lounges can be found on airside and next to gate 4. A range of disabled passenger facilities, such as disabled parking spaces and several disabled toilet facilities. A range of books, magazines, drinks and confectionery at W H Smith, which is before security. Tax and duty free goods are available in the departure lounge at the Alpha Retail store. Before security, a range of snacks and drinks are available in Café Oasis; while in the departure lounge these are available in Café Express. Alcoholic is available in the Yard of Ale, which has outlets both air and landside.